Since the rainy weather was ending at the west side of the Lower Rio Grande Valley this afternoon, I drove out to Anzalduas County Park. 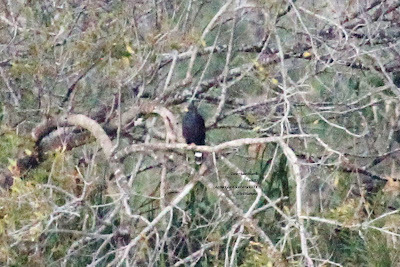 Since there had been a lot of rain the birds in the park were still in their cover so I scanned the trees on the other side of the Rio Grande River with my spotting scope. 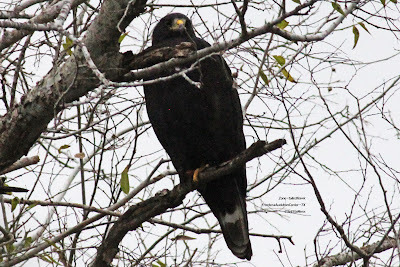 I soon spotted this Zone-tailed Hawk perched in a tree along the shore. It was pretty distant, about 600 feet across but I got good views in my spotting scope. 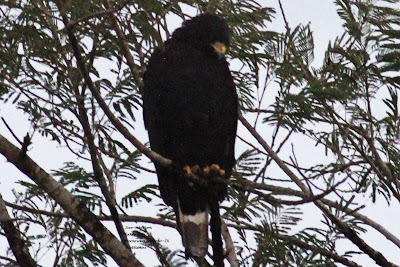 I saw it's bright yellow cere, black head and body. When it turned to face in my direction I could see at least two white tail bands, one quite wide and one at end of tail. It is clearly an adult. 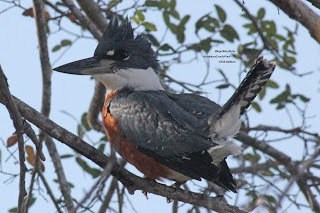 I really enjoy the Edinburg Wetlands and World Birding Center--it has fantastic native habitat and enjoyable birding. 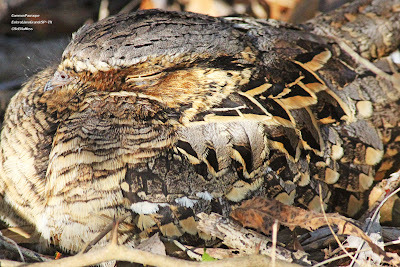 Sadly many birders miss out because they follow reports of rare birds and this lovely area doesn't get as many rarities as some other areas in the Lower Rio Grande Valley. 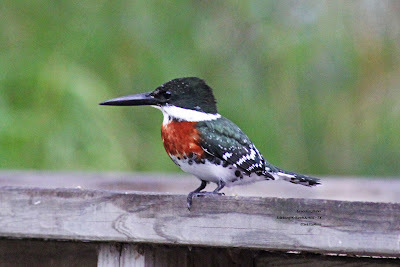 So they miss out on the intimate opportunities I had yesterday to view and photograph this Green Kingfisher up close. I got done with some things a little early so stopped at Frontera Audubon early tonight and found the adult Zone-tailed apparently already on it's roost. It was cloudy but since it was earlier there was more light for pics--good thing as I had to photograph the hawk from a more distant location (as on other occasions I could have gotten closer but did not want to risk disturbing it). After days of cloudy and frequently mist-rainy skies, the sun was out when I got to Frontera Audubon this morning so all the vultures and (presumably, as I saw no raptors perched in the trees) the Zone-tailed Hawk were up flying and searching for food. So I decided to return around 6 pm to see if I could find either the adult or juvenile on their evening roost.